Adding understanding of consumer behaviour and real life context to a large academic study at UNSW. Video ethnography Reveals the difference between consumers' reported and real behaviour. 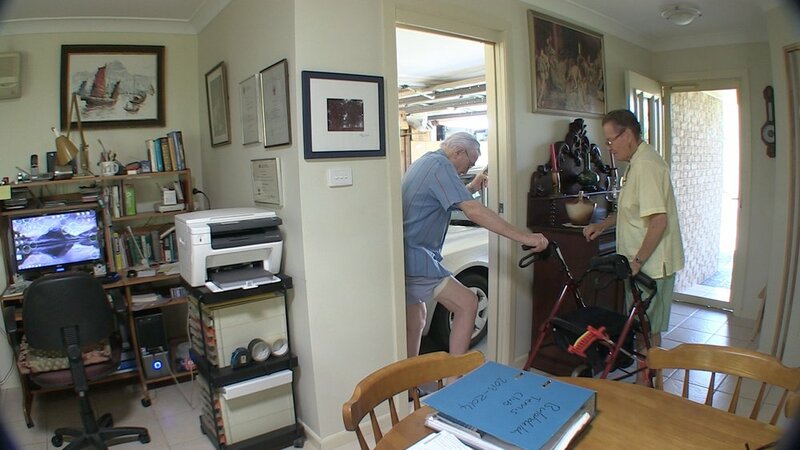 When the Home Modification Information Clearinghouse at UNSW Faculty of Built Environment commissioned a small video ethnographic component to a large multi-method project on the information needs of Do-It-Yourself Home Modifications for Age and Disability, some surprising findings emerged beyond the original research scope. They also wanted to use video ethnography to explore and illustrate participant behaviours and attitudes around the experience of DIY home modification projects. They wanted the video to provide anecdotal qualification of the other method findings. They also wanted to output the video clips in point-of-sale QR codes to provide short grabs of pertinent advice or warnings from consumers to illustrate best-practice examples of DIY home modification projects. So, we spent time with people in their homes to see how they used and moved in their private space, we got to know them and how they related to their house-mates and carers, and how the disability modifications they’d fitted worked into their space and their lives. We visited the retail outlets our participants had used to access their products and we talked to sales people in-store. In-home we also observed and filmed participants using their products...some interesting findings resulted. What was surprising was that while participants said one thing, in many instances their behaviour revealed something completely different. One participant, very happy with her new hand-held shower, reported it to be easy to use: “I don’t have any trouble with it”. Yet in practice she struggled to replace the hand-set on the cradle, fumbling with one hand then both hands (when really she should have been steadying herself with the grab-rail that she’d also installed). It became clear that what people reported about their product was not necessarily the complete story. If we had relied on reported behaviour alone, we wouldn't have seen the full picture of how the home modifications and our participants interacted. We also explored our participants' information needs and responses to the information formats proposed, exploring other possibilities which helped the project turn a corner in its thinking around project output...the DIY Home Modification App. The video ethnography provided a rich and relatable window into our participants' lives. Over and above creating anecdotal validation of the projects other findings, the films created important context for the project's other findings as well as empathetic understanding for the other research teams and stakeholders. Far from just being a source of QR code accessed 'short grabs' the video ethnography played an important role in directing the project outcomes toward it's final expression.